Have been talking to the new Technics team since day one (way before they actually started to revive any of their turntable designs). What still many people don't know (or understand) is that the NEW TECHNICS COMPANY headed by http://www.technics.com/us/about/press/biographies.html organized as a separate company, a fully owned subsidiary by PANASONIC, while the old TECHNICS (brand) was a division within the MATSUSHITA company (that later changed its name to PANASONIC, and cut many of it's sub-brands and divisions). In this process a lot of tooling, equipment, and also knowledgeable man-power was lost. People went into retirement etc, and the ability to make a lot of the previous TECHNICS products were lost. Michiko Ogawa and her NEW TECHNICS COMPANY had to make a heroic effort, and in many cases tap into retired MATSUSHITA/PANASONIC personnel's brains to fully recreate completely new turntable products with the old look and image. However the NEW PRODUCTS are really designed from scratch, and brand new technologies and brand new tooling has been created. We personally know Michiko (also a wonderful jazz pianist), and several of the people in both the old and the new TECHNICS teams. There is a reason why the new products have a very different and much improved technical content, and despite of sharing some of the looks and part of the old names; they are really NEW PRODUCTS inside and out, created with today's manufacturing and cost structure. It seems that only a small portion of the audio population "get this". Most people think it is the same company picking up old designs, touching up the "cosmetics". These are the people that complain that the prices of the new products are so much higher. But in reality; these are new products like any new products created today. And if you compare to other "today's products", one will easily understand that their prices are quite competitive. 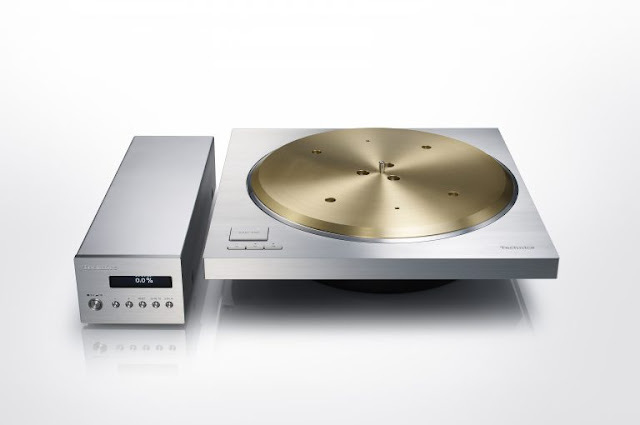 We are very happy that the new TECHNICS team has finally re-created their top SP-10 model in a new proud & worthy form. It has taken a lot of courage (and solid financing) to do this. I hope my little write-up here can throw some light on what a major event this really is for all Audiophile "vinyl-o-philes"!!! Michiko and her team really deserve a BIG applause from all of us!! !